Sangitan or Sambucus javanica Reinw. Sangitan is habitus and rounded shrub with branched stems, about 1-3 meters high. Odd pinnate compound leaves, there are 5-9 leaflets. Child-stemmed leaves with strands of elongated ellipsoidal to oblong, 8-15 cm long and 3-5 cm wide. Pointed tip with serrated edge, upper surface dark green color while light green beneath the surface. The flowers are small and yellowish-white, come together to form a compound umbrella, emerged from the tip branching, smells wonderful. The fruit is a fruit Buni, round shape with a diameter of 3-4 mm, black when ripe. Sangitan an Indonesian native plants, grown from the lowlands to an altitude of 1000 meters above sea level, like growing up in a place that is not too dry or too humid. Sangitan plants are found growing wild in the mountains, on the outskirts of the city of vacant land, sometimes planted in the garden as a hedge or ornamental plants. Propagation is by cuttings or seed. Chemical properties and pharmacological effects Sangitan is sweet, spicy and slightly bitter and warm. Its roots Kholik nutritious remove and eliminate swelling. Stems and leaves efficacious as a laxative urine, eliminate swelling, relieve pain and circulation. Sangitan contain essential oils, kafeat acid, ursolic acid, p-sitosterol, alpha-amylin palmitate, armin, kno. Ursolic acid is the active component is efficacious as a sedative, relieving pain and fever reliever. Part used is the root, stem and leaf, dried for storage. Benefits Sangitan plant is root for injuries hit, bone fractures, arthritis, muscle pains, jaundice and others. 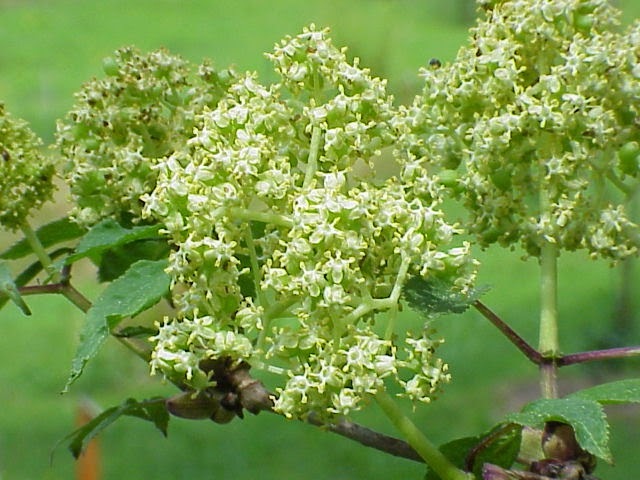 Stems and leaves are used to treat swelling due to kidney disease, beriberi, dysentery chronic airway inflammation, erysispelas (acute inflammation of the skin which quickly spread to the surrounding area is also accompanied by fever), and others. All the parts can be used for cramps / spasms in the legs, pain in the bones, measles and others. Dosage: External use whole plant washed and boiled, the water used to wash the wound or mashed plant. Then placed on the affected part. Use in: use 30-60 grams of boiled and the water drunk. In the swollen body parts hit, use fresh leaves washed and pulverized and then placed on the body of the sick. For measles or rubella, use whole herbs to taste, washed and cut into pieces as needed and then boiled with water, and while warm water is used for bathing. When suffering from ulcers, use of plants Sangitan dicucio clean and finely ground, add the egg whites, stirred and then placed on the affected part. To cope with chronic rheumatism, back pain, and swelling, use herbs to taste Sangitan washed and boiled with water. While warm water is used to compress the affected part. When suffering from jaundice, use 30-60 grams Sangitan roots were washed and cut into pieces as needed, then steamed with beef. Once cooked, the water is drunk and flesh eaten. Or it could use 30 grams of root sangitan, 30 grams of ginger, 30 grams of leaves and spoon the water is taken 2 times a day every time 200 cc. To treat chronic kidney inflammation, use 30 grams sangitan plants, 30 grams of corn grass, 60 grams of grass roots, boiled with 800 cc of water until the remaining 400 cc, filtered and water was drunk to 2 times a day every time 200 cc. When suffering from swelling due to kidney disease or beriberi, use 30-60 grams Sangitan were washed and cut into pieces and boiled with 600 cc of water until the remaining 200 cc, filtered and water was drunk.